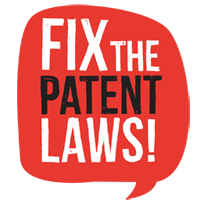 The Fix the Patent Laws (FTPL) coalition welcomes recent public comments made by Minister of Trade and Industry Rob Davies and Minister of Health Dr Aaron Motsoaledi about patents and patent law in South Africa and in other developing countries. We are also encouraged by Minister Davies’s comments on compulsory licenses. The FTPL coalition is advocating for amendments to the compulsory licensing provisions in South African law so that broader grounds and simpler procedures are in place to make the granting of compulsory licenses easier. “Compulsory licenses are another avenue of policy flexibility permitted under the TRIPS Agreement that may be used as an instrument to promote domestic production where voluntary licenses are not available on reasonable commercial terms. There are several examples around the world where compulsory licenses were issued and employed successfully to ease access to affordable medicines,” Davies said. 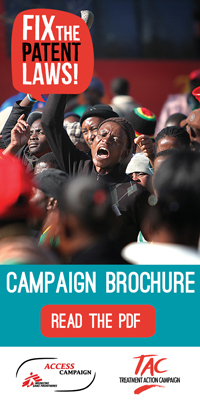 South Africa published a Draft National Intellectual Property Policy in September 2013. While we note the Minister’s comment that the policy is still under review, we are deeply concerned by the very long delay in the finalisation of this policy. Earlier this month Minister Motsoaledi also made some encouraging statements on the public record. When asked on radio station Power FM about providing access to an expensive breast cancer drug, the Minister indicated that he will consider issuing a government use compulsory license. He said: “If we have to do that, we want it to be a government use license and we’ve got no problem with that”. South Africa has never issued a compulsory license on a medicine. Countries who grant compulsory licenses typically come under great pressure from the United States – even if the granting of these licenses are in compliance with World Trade Organisation rules. While we are encouraged by the comments made by Minister Davies and Minister Motsoaledi, we are also keenly aware that no concrete steps have been taken. South Africa’s IP policy remains stalled. The price of Herceptin remains too high for many women who need it. Our patent laws continue to place the private interests of foreign pharmaceutical companies ahead of the right to access healthcare. We call on Minister Davies to translate the encouraging policy statements at the international forum into concrete steps of changing the national patent law system, and explain to the people of South Africa why the IP policy has stalled. We also call on him to share the timelines for the finalisation of the IP policy and subsequent law reform with the South African public. · The status quo in this regard should be retained, with the Patents Act only making provision for data protection.